I love it when my couples ask me to partake in their awesome traditions and adventures before their BIG day! Garrett and Diana asked me to photograph them burying the bourbon at their wedding venue and I was oh so ecstatic to see this tradition in action! I had never heard of burying the bourbon before, but now I am wondering how I came this far in life without ever seeing it before. The tradition is to bury a bottle of bourbon 1 month before your wedding date at your wedding venue to ward off wedding day rain. When the wedding day arrives, you retrieve the bourbon and drink it. Seriously, it is that simple. Cheers to no rain on Garrett and Diana's wedding day come September! 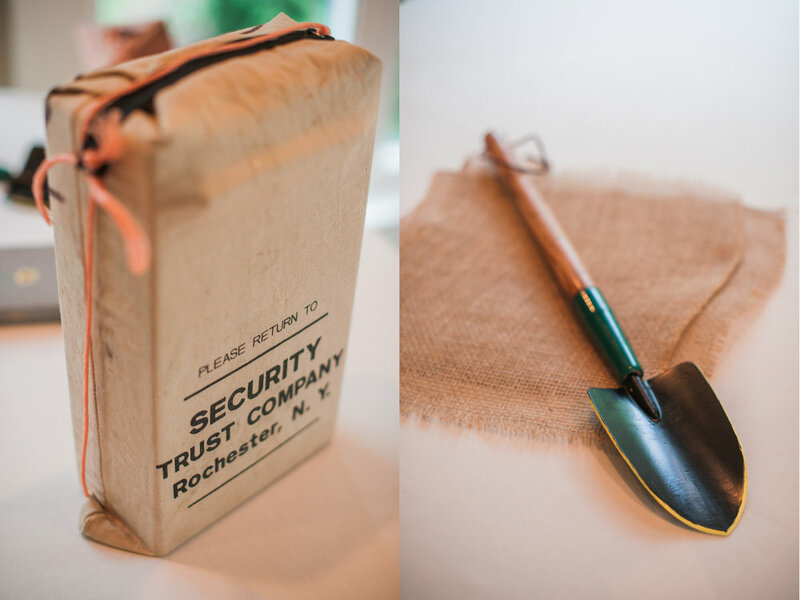 Diana's dad made the cutest little bourbon box I ever saw, equipped with a baby shovel to boot. The tiny shovel could not do as much damage to the grave, but it made for really cute photos with the two of them in it. Although Diana and Garrett could not open the box yet, they will soon see the gift inside come September 24th. The event took place at Garrett and Diana's wedding venue, The Groome Inn, located in Greensboro, NC. This was my first time visiting, and oh my God was it a beauty! I can not wait to photograph these two love birds on their spoken day of love. How are my couples this amazing? !